99% of companies in Spain are small or medium enterprises: SMEs. 42% of these companies have less than nine employees and are therefore micro-enterprises. 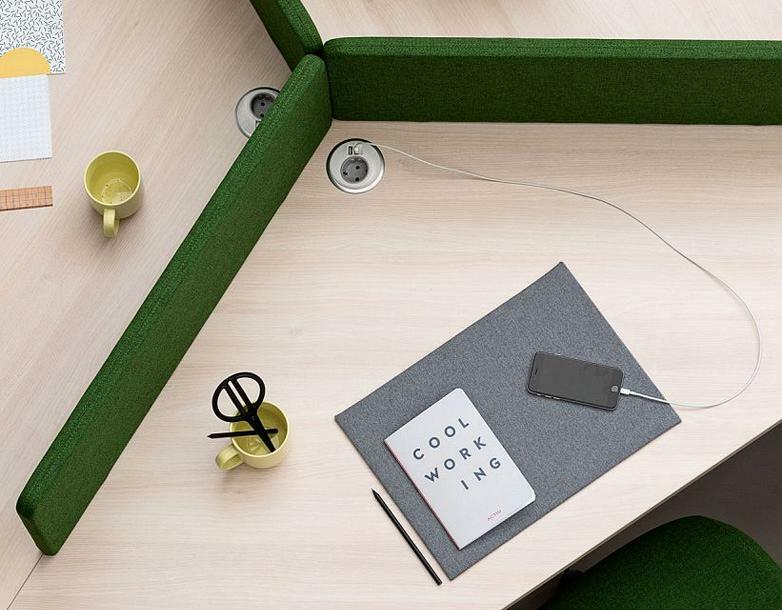 Furniture, in addition to the lighting and location of offices, is a key factor in the productivity of employees who are increasingly adopting new working and organisational methods to better suit the changing times. We discovered the ten essential keys to equipping an SME with less than 10 employees with the help of Aureliano Bascuñana, partner at Oficines, Actiu’s distributor in the city of Valencia. “Up until recently, as companies grew larger they saw furniture as being an obstacle to their evolution through time. As teams grew, they gradually began to acquire new tables and chairs to create an office. There was neither order nor structure. 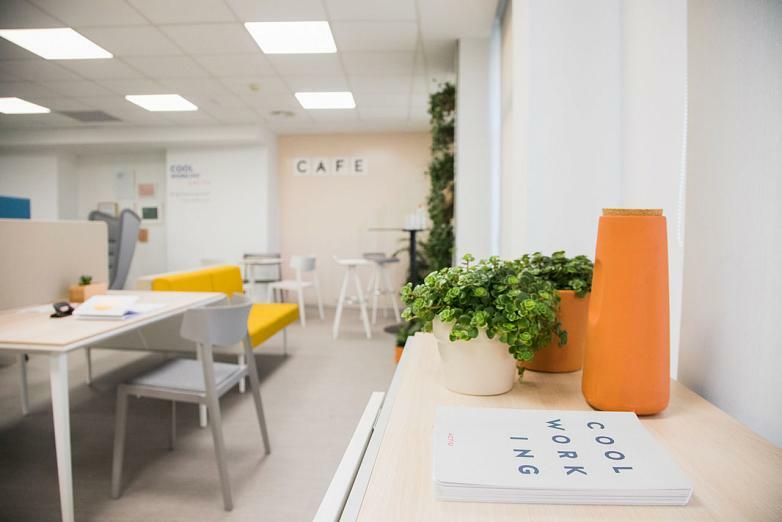 Nowadays projects are more reflective and are planned according to the needs of each company and the type of work that the company carries out”, explains Aureliano, specialist in transforming offices and designing new spaces for SMEs. In this sense, the traditional set-up of closed executive offices linked by a long exterior corridor changed and new areas began to appear, lending an air of consistency and brand identity. 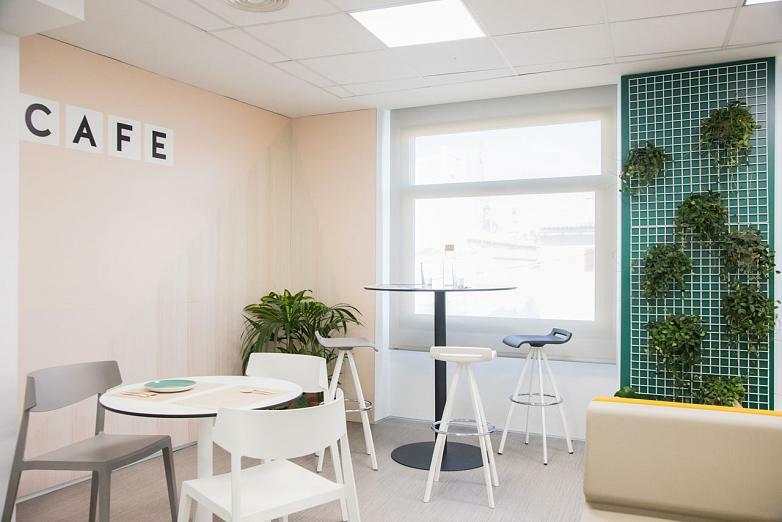 “90% of new companies need a reception, an open space with positions for 4 to 8 people, a meeting room, an office storage system and an area for eating in”. Ergonomic design is a key weapon in the fight against worker absenteeism. Investing in ergonomic design is investing in health, productivity and improved efficiency. And in this sense, tables and chairs are without a doubt the main players. “In so many projects we find outdated furniture, as if at work anything will do. However, that’s not the case. We spend many hours sitting at chairs so it is essential that these present all of the necessary conditions for a good, ergonomically correct positioning”, adds Aureliano. 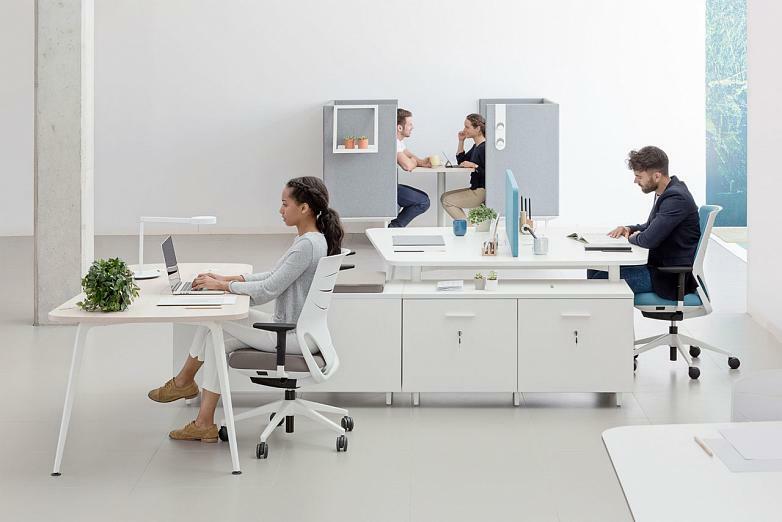 In addition to the chairs, adjustable tables are one of the most notable new trends in offices, due to the fact that being able to raise these easily means being able to combine working in a sitting and standing position. “Dynamic work stations, with tables which can be adjusted to suit different heights and even enable working on foot, are an investment not only in equipment but also in the health of workers”, concludes Aure. “In SMEs there is not much mobility in work stations. Each one has his or her own space. 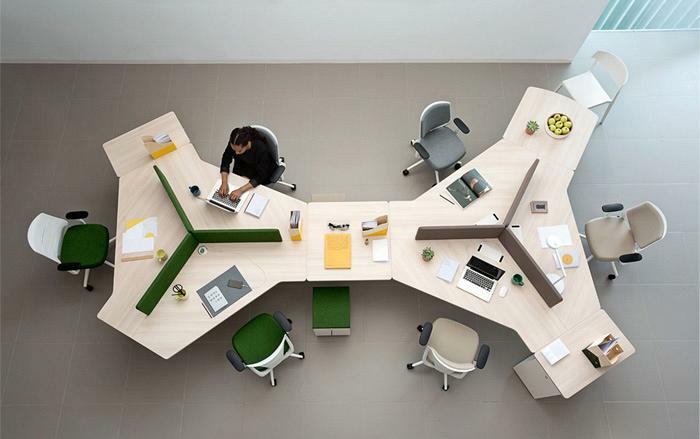 The trend is to create open spaces which promote team work and communication. 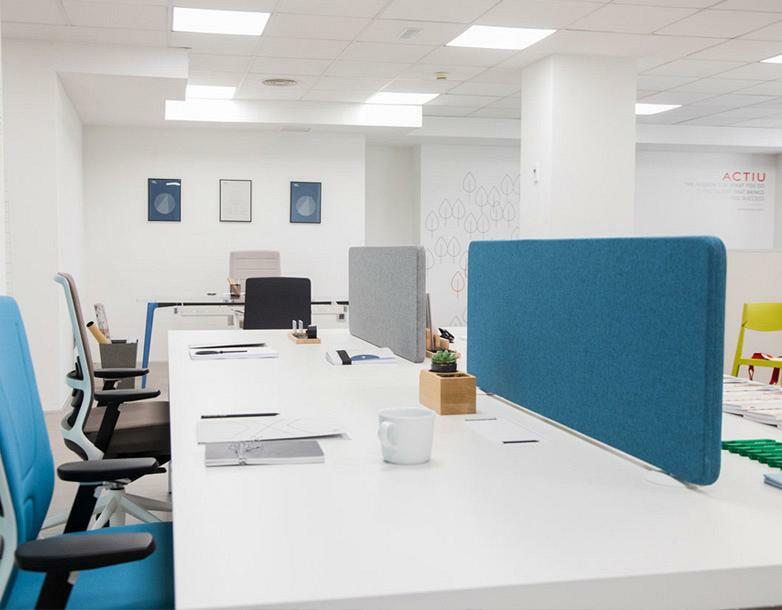 Even bosses and managers, especially within the younger generations, are leaving their executive offices and adding their desks to open common areas. An ideal solution is to install work stations consisting of bends with four working positions. This keeps the murmur effect under control and creates small islands where four people can work together”, explains Aureliano. Tertiary elements such as acoustic screens separating work positions are key elements of open space areas, which require privacy and a clean visual effect. “Acoustic screens manage the level of noise and allow each person to have their own little space which they can customise. They can use this space to keep family photos, calendars or anything else that they need for their personal organisation. These screens also provide a greater degree of privacy while still facilitating visual contact and communication between colleagues”, Aureliano continues. Desks with internal cable management are just as important in offices as a strong internet connection. After discovering these features, there's no looking back. “In the age of telecommunications, it is essential that each person can lift a cover and find sockets, cables for charging their electronic devices and spaces for keeping their wallet and keys. This also aids visual clarity and avoids having distractions or superfluous elements on the table”. Up until now, the majority of offices included a room that was permanently closed and for the sole use of the manager or chief financial officer of the company. 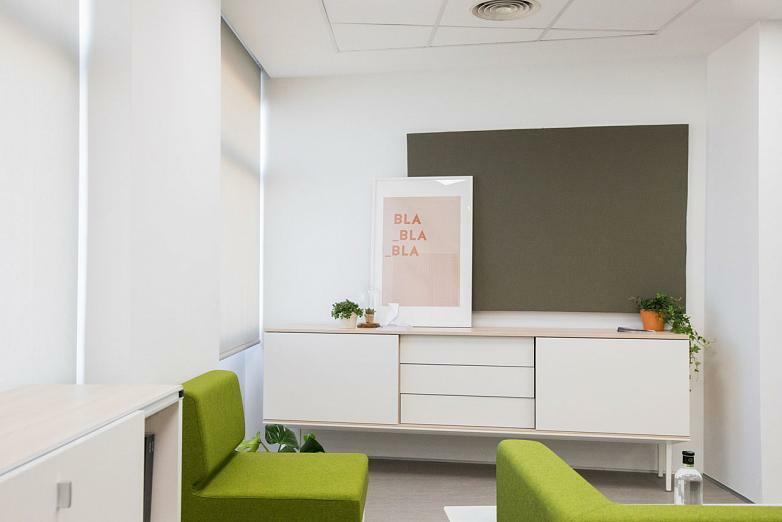 New office trends have taken bosses out of these private spaces and integrated them with the rest of the team, undoubtedly facilitating communication and collaboration. “The executive offices of times gone by have been transformed into multi-purpose meeting areas that are accessible to all employees and that can be used for holding meetings and video conferences, taking phone calls, as a concentration area or as a space in which team leaders can reflect. At one point or another, we could all use an executive office. And it is essential that this space is accessible to everyone", explains Aureliano. This is a trend which is fairly engrained in companies with younger generations but is far from being a reality in offices with more “classical” generations. This trend is fairly engrained in companies with younger generations but is far from being a reality in offices with more “classical” generations. 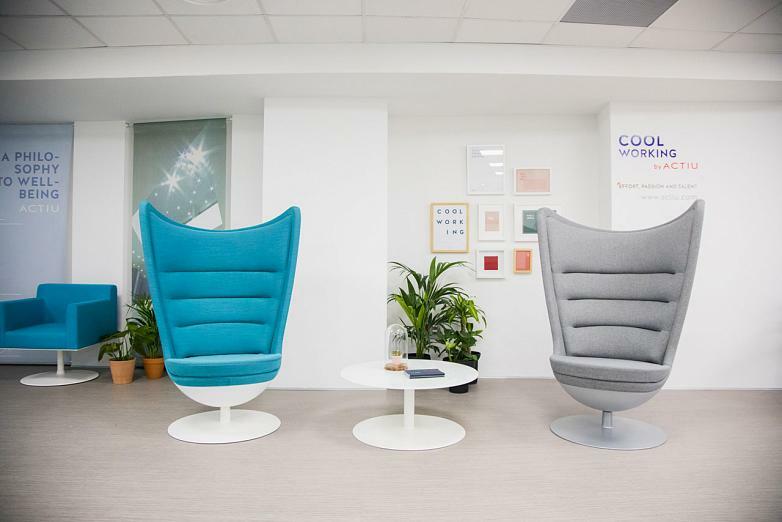 Other essential features of work spaces include informal meeting rooms, areas for eating or having a coffee and spaces where we can sit, relax and disconnect for a little while. “The office area is currently one of the most sought-after. People need to eat at the office so that they can make the best possible use of their time and therefore leave earlier. They also need a place to rest for a minute and grab a coffee. We always recommend high tables and stools for these positions. This allows us to change our routine and sit in a different way. In fact, even if there are not enough stools, we can still have a conversation with the colleague beside us on foot. This type of furnishing encourages communication and takes up very little space”. Despite what many people predicted, the end of paper is still a long way off. Providing storage areas is important, and it is especially important to organise these areas well in small spaces. “We always recommend installing tall storage systems against perpendicular walls where the light can get in. 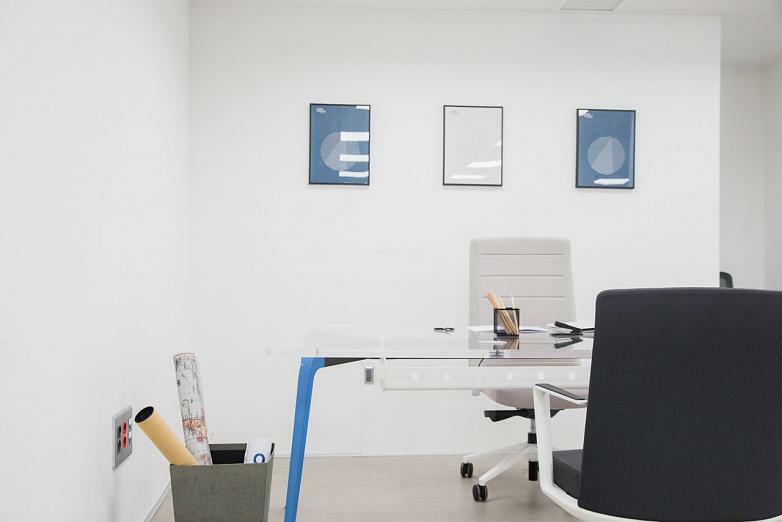 Focusing on the height of office storage systems, and thus preventing people from being able to leave things on top of them, creates a cleaner visual effect. We also install small individual drawers with locks and keys under desks, so that each person can keep their personal items safe by their side. 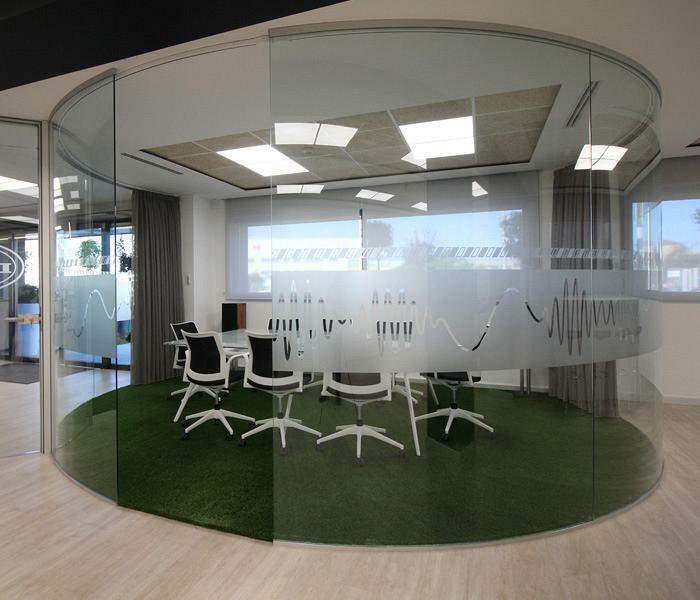 This creates an organised, clean and pleasant environment which is particularly welcome in open space areas”, explains Aure. The entrance to an office is almost as important as the layout of its working stations. It represents the company’s brand identity and presents the first impression of every client that comes to visit. “All too often, we have found a pitiful reception area where the work station of the secretary is an extension of the reception: covered in paper, with ancient furnishing and extremely poor lighting. We continue to insist that this area is of vital importance, for employees and also for the people coming from outside who will discover a company with an extremely poor image. In addition to this, the reception is also useful as a lounge area or an informal space for relaxing and unwinding”. And speaking of unwinding, we are seeing a new trend in both homes and offices, which share these essential items which create wellbeing and make a space seem more homely: plants. “More and more, we recommend carrying out a non-work-related activity in the office, such as, for example, taking care of a plant. This allows you to disconnect for a few seconds and think about something different. For this reason, we try to encourage bosses to promote this type of activity. On top of this, plants create life and colour and bring us closer to nature”. In summary, the key is to create a space in which people feel comfortable and are able to customise their own working area, even if this is only to a small degree. A space which combines strong communication with the possibility for privacy, in which structures are horizontal, transparent and good-natured, and in which furnishing plays a vital role as a tool for wellbeing and productive work.